Senator Anthony R. Bucco is a fiscal conservative. He is committed to reducing our burdensome property taxes while supporting family values. Senator Bucco is fighting to cut wasteful government spending and eliminate political corruption in New Jersey. He puts the needs of taxpayers, families and seniors first. 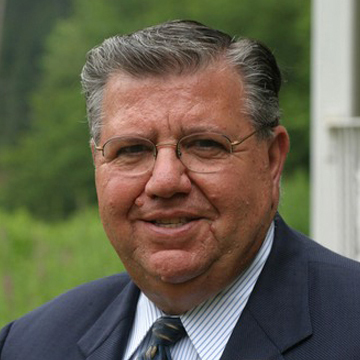 Senator Bucco’s career in public service began when he served as an Alderman in the Town of Boonton and later as Mayor. He served on the Morris County Board of Freeholders and the General Assembly. During his time in the Assembly, Senator Bucco was the Assistant Majority Whip. Senator Bucco has been a member of the State Senate since 1998 and is currently the Republican Budget Officer. He has previously served in the Senate as Deputy Minority Leader, Assistant Minority Leader, Co-Republican Majority Leader and Assistant Majority Leader. Two laws Senator Bucco passed of which he is especially proud of are “Teri’s Law,” which requires stiffer penalties for those caught driving while intoxicated and the “Safe Haven Infant Protection Act,” which allows an individual to bring a baby less than 30 days old to any hospital emergency room or police station safely, legally and anonymously. In addition to his duties as a legislator, Senator Bucco is the President and CEO of Baker Titan Adhesives in Paterson. He and his wife of over 50 years, Helen, have one son, Assemblyman Anthony M. Bucco who is married to his wife Amy with their six children.